I know that you’ve been dying to know the current state of my fiction submissions, so here goes. I have two stories that I’m still shopping around to various markets. The rejection pile grows ever higher, but I’m still hopeful that my little brain children will find a home. I try to keep a philosophical frame of mind in the face of all the rejections. Some days are better than others, but I keep trying. I need to work on more submissions to send out, but I’ve hit a bit of “inspiration slump”. Oh well, it’ll come back. I’m sure of it. So, that’s the latest. I’ll keep you posted if there are any changes. In the meantime, if you’d like to sample my published fiction, look for the March 2015 issue of Stupefying Stories and the Spring 2014 issue of On Spec. 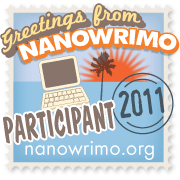 This entry was posted in Announcements and News and tagged fiction, publishing, short stories, writing. Bookmark the permalink.